It’s been quite the month for Indiana Jones-inspired madness, after a sealed 2,000-year-old sarcophagus was discovered in Alexandria, Egypt, on 1 July. Nobody knew what was inside, but some feared that the black granite coffin might be cursed. Those fears were put to rest on Thursday, when the sarcophagus was finally opened. It was full of human bones and sewage. More specifically, archaeologists from Egypt’s Ministry of Antiquities found three male skeletons in a reddish-brown slop. The ministry believes the men interred there may have been warriors since one of the skulls showed signs of an injury caused by an arrow. The sludge, they think, leaked into the sarcophagus from a nearby sewage trough. There were no immediate signs of a curse, although maybe it was just the smell. To internet sleuths, learning the true contents of the mysterious sarcophagus must be a bit of a disappointment. Since it had been undisturbed for thousands of years, many believed that the burial site held some sort of curse, and opening it could release an apocalypse scenario, like that depicted in The Mummy Returns, a 2001 thriller starring Dwayne Johnson, Brendan Fraser, and Rachel Weisz. 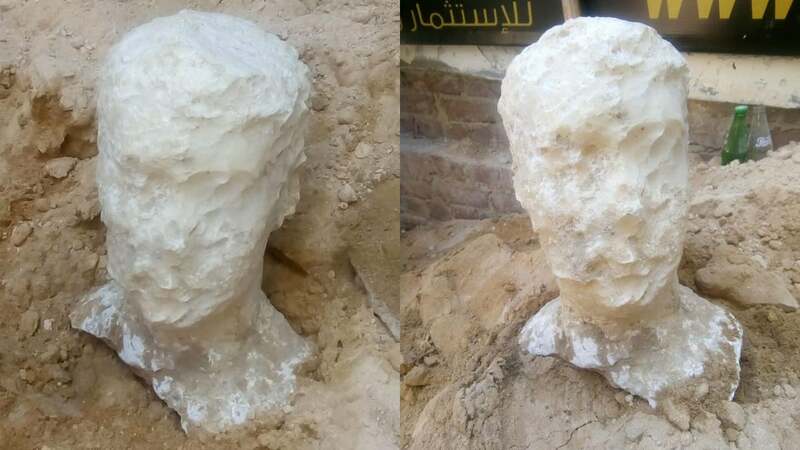 After all, a grotesque-looking alabaster sculpture of a man’s head was also found near the tomb. Some even thought that the sarcophagus might contain the body of Alexander the Great, whose grave has never been found. But the sarcophagus contained none of those things. There was no curse, no apocalyptic scenario, no Alexander the Great. 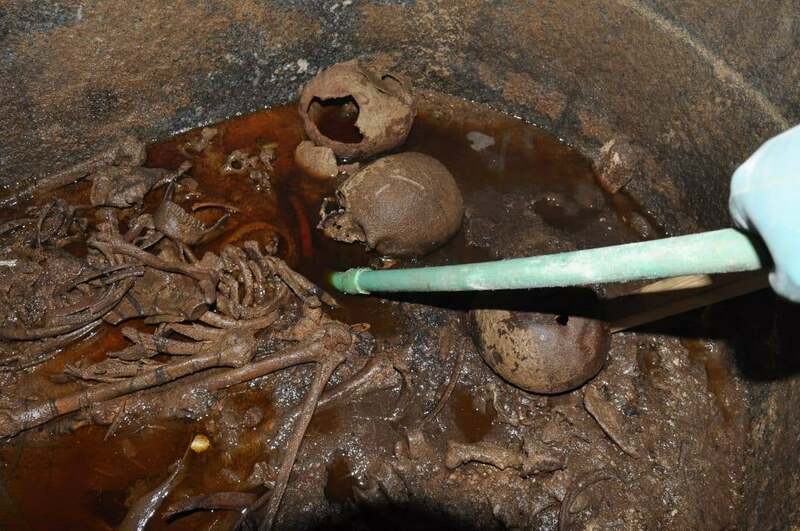 There were just a bunch of human bones soaking in sewage.